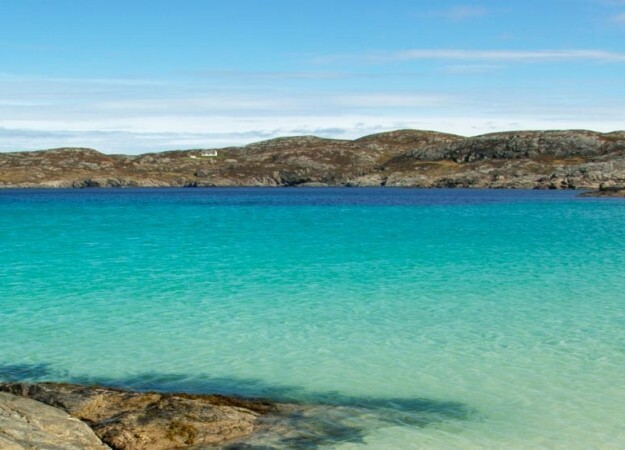 Achmelvich Beach is a stunning beach with golden sands and a popular spot for water skiers, windsurfers and kayakers. It is a busy beach during the summer months. 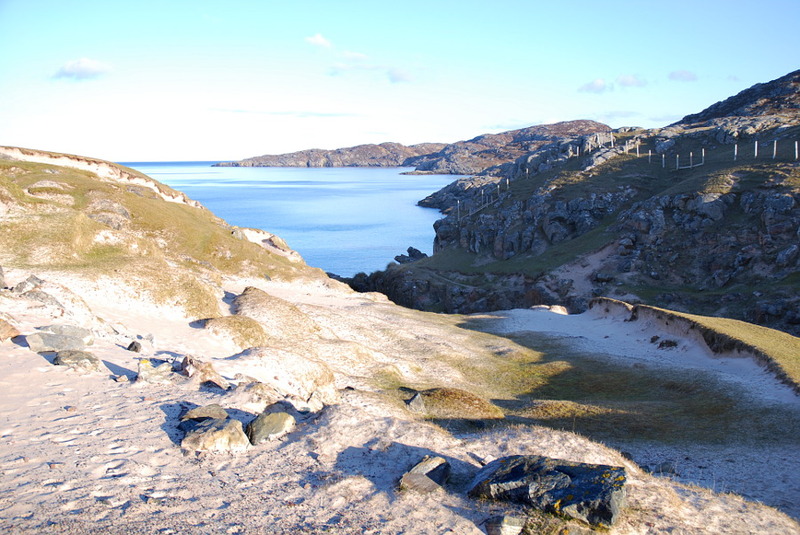 Achmelvich is about 3 miles (5 km) North of Lochinver and 40 miles (64 km) North of Ullapool, in The North West Highlands of the Scotland. 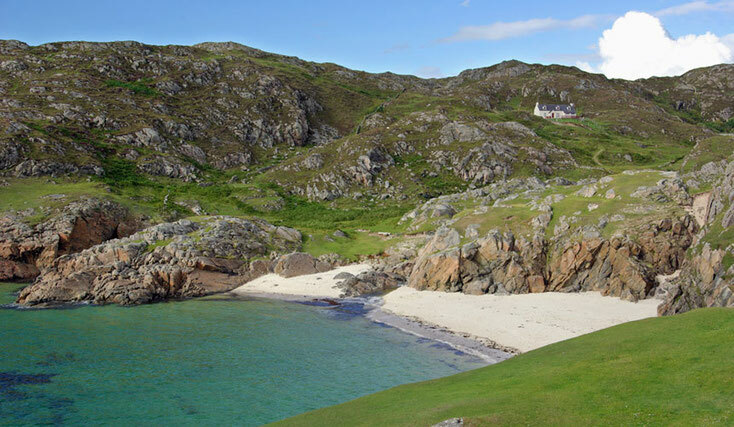 This little village is accessible by a single track side road from the B869 North Coast 500 Tourist Route. Despite the little challenging road, the area is popular with tourists and after driving there you can park your car at the large car park with public toilets and a small hut for tourist information. 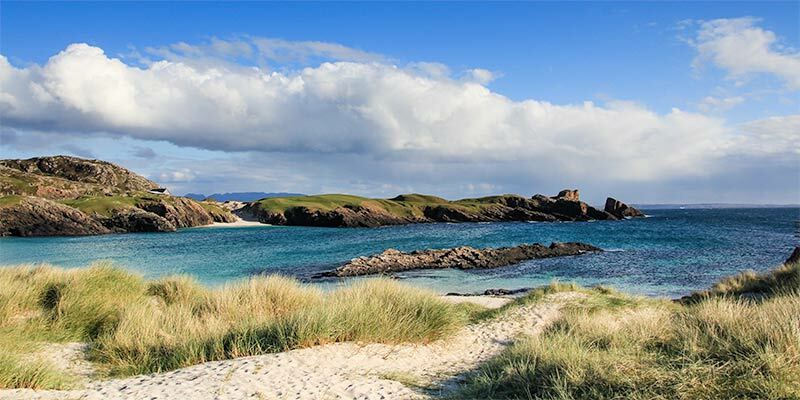 Achmelvich is an ideal spot for wildlife admirers and they may be lucky to spot the dolphins and whales that often swim in these waters.